Summer is the time for sunflowers! 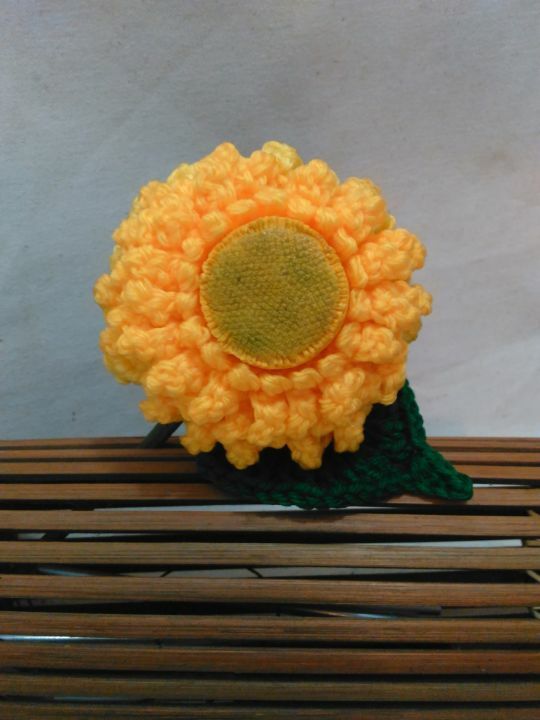 Enjoy making this easy-to-do Teddy Bear Sunflower. Make a dozen to create a beautiful sunflower bouquet. These blooms are bright and fun to make all in one package. If you love making flowers… real-life flowers, then you should definitely be a part of our Flawless Crochet Flowers community. Join us in our Facebook group for free patterns, fun CALs and contests, and a whole lot of fun! Be sure to sign up for my newsletter to get all the good stuff! The content and the design of this pattern is copyright protected. You are not allowed to copy, re-distribute, or record this pattern and it’s content in any way possible. However, you are allowed to sell products made from this pattern as long as it is not mass production, and you leave a link to my shop in your product listing. Join my Facebook group and be a part of an amazing community!